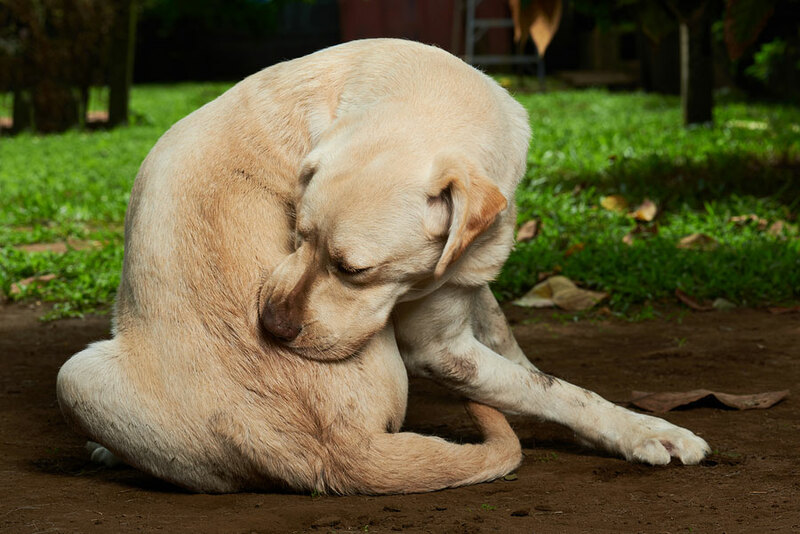 Flea bites can cause much more than an irritating itchiness in dogs and cats. They can result in an allergic reaction to proteins in the flea saliva. Fleas munching on your pet’s blood can even make your pet anemic. Constant scratching may cause various skin problems and even permanent loss of hair. Ticks can do harm by transmitting an infection (e.g, Lyme disease) to your pet and your family. Are Flea and Tick Products Regulated? Yes, these products are under the regulation of either the Food and Drug Administration (FDA) or the Environmental Protection Agency (EPA). Generally speaking, products that are administered orally or by injection fall under the aegis of the FDA, but some pesticide products are regulated by the EPA. Here are some tips from the FDA on how to properly use flea and tick products on your pets. Flea season peaks during the warm months, but the length of the flea season varies – four months in places like Maine; all year round in Florida. And, fleas can live inside your warm house year-round no matter where you reside. Although ticks are found in some areas year-round, the greatest risk of infection from a tick bite is during spring and summer. If you don’t fully understand the product instructions, contact the manufacturer or talk to your vet. Even if you’ve used the product in the past, still read the directions because something may have changed. Follow the instructions exactly. If it’s a dog product, don’t use it on other pets. If the label stipulates weekly use, don’t use it more often. If the product is for the yard or house, don’t apply it directly to your pet’s coat. Keep other pets away from any animal that has had a product applied to its skin until the product dries. Also, don’t let your treated pet groom himself until his skin is dry. Speak to your vet before using a product on old, weak, sick, already medicated, pregnant, or nursing pets. The same goes for pets that have previously shown symptoms of sensitivity to a product. Don’t use a product on puppies or kittens unless the directions state that this is ok. On very young animals, it’s best to use a flea comb to extract fleas and their eggs and ticks. Keep on eye on your pet, especially if you are using a product for the first time. For a bad reaction to a spot-on product, wash the coat with mild soap, rinse with copious amounts of water, and call your vet. Also, call your vet if your pet shows any signs of illness – e.g., vomiting, sudden appetite loss, diarrhea, excessive salivation, depression. Either use protective gloves while administering a product or wash your hands thoroughly with soap and water after treatment. Store products away from food and out of reach of young children. While serious adverse reactions to a flea or tick product are rare, they can occur. If your pet needs immediate medical care, call your vet, a local animal emergency clinic (such as CVETS), or the National Animal Poison Control Center. Previous PostPet Infections and Treatments: What Kinds are There?